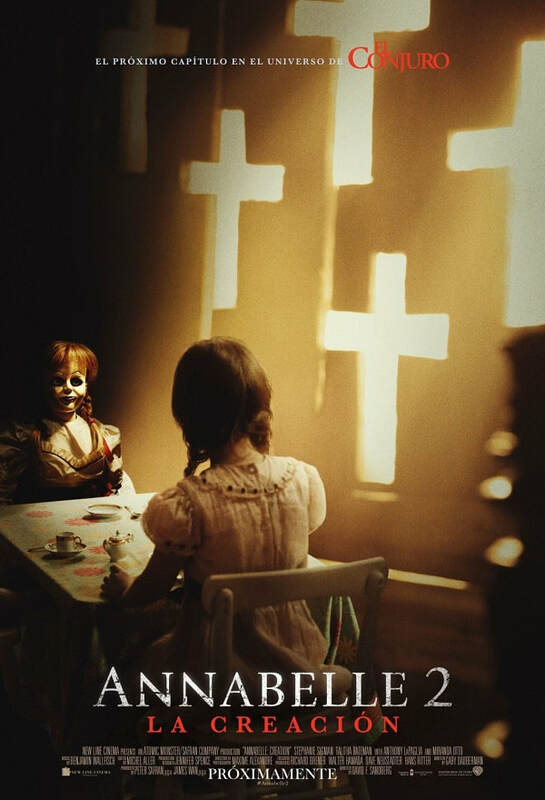 Annabelle: Creation (2017) | Movie News & Review | - Pop Movee - It's about MOVIES! Janice: Forgive me, Father, for I am about to sin. Sister Charlotte: What is that? ​Former toy maker Sam Mullins and his wife, Esther, are happy to welcome a nun and six orphaned girls into their California farmhouse. Years earlier, the couple's 7-year-old daughter Annabelle died in a tragic car accident. Terror soon strikes when one child sneaks into a forbidden room and finds a seemingly innocent doll that appears to have a life of its own. ​Welcome to James Wan’s own private universe! In this universe, the supernatural is real, demons are real and the power to combat evil from beyond is real! 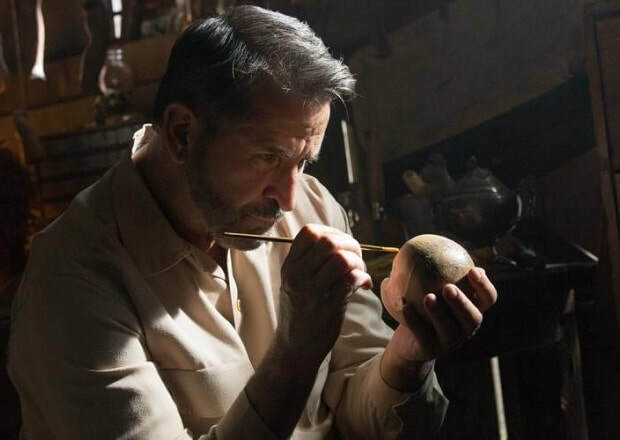 Viewers who haven’t seen either of THE CONJURING movies or the first ANNABELLE may be a little behind the eight ball; but, don’t wear out those Rosary beads with fear, Wan is not so much the trickster that he makes those wanting to enter his universe hang around too long for answers. 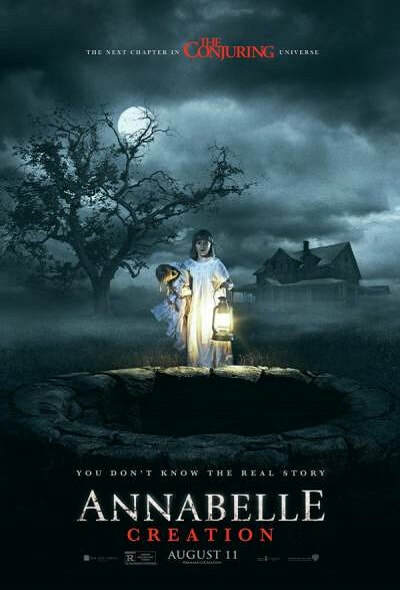 ANNABELLE: CREATION is the fourth movie in Wan’s universe, originally introduced back in 2013 with THE CONJURING. 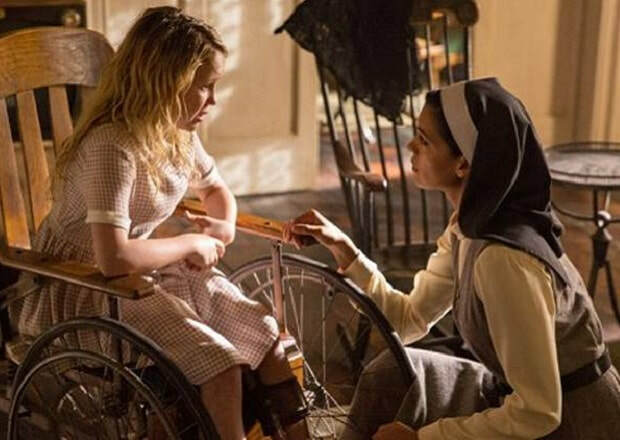 This new story serves as a prequel to a prequel… I think… Yes, that’s right… The 2014 ANNABELLE was about the demonic doll who featured in THE CONJURING. It’s obvious that all this inter-connectedness feeds in on itself, however, it doesn’t stop Director David F. Sandberg from following-up his impressive 2016 debut LIGHTS OUT with a well-crafted movie that sees the franchise move beyond jump scares and fast editing to get the viewer’s pulse racing. 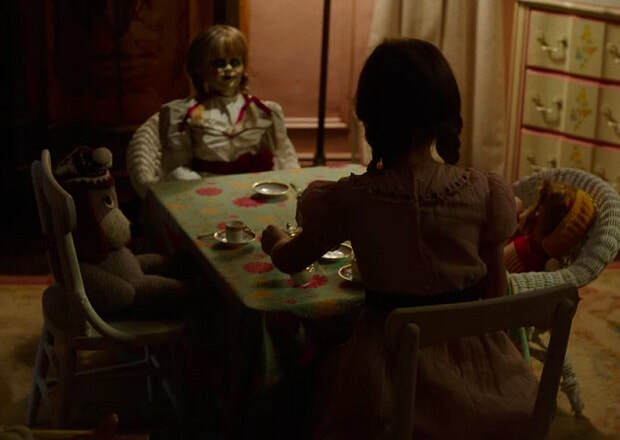 ​Like 2016’s THE CONJURING 2, ANNABELLE: CREATION benefits from a slower, more meaningful approach to revealing the horror that lurks in the Mullins’s home. Sandberg and Cinematographer Maxime Alexandre, who has become something of a specialist at photographing Horror movies including HIGH TENSION, MANIAC & 2018’s continuation of The Conjuring Universe movies, THE NUN, don’t force the movie’s visuals down the viewer’s throat. They use their sets extremely effectively, allowing props to take on a life of their own by keeping the camera still and allowing physical effects to do their work. 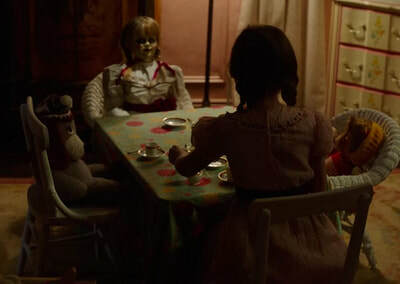 The Annabelle doll, as silly as what it seems, manages to maintain its creepiness right the way throughout the movie as Film Editor Michel Aller, continuing the working relationship established with Sandberg on LIGHTS OUT, cuts back and forth using longer takes to draw the tension out of each and every scene. It’s the kind of Horror that found its way into mainstream cinema during the 1960s and 1970s when Hammer dominated the English Horror cinema landscape and the likes of Roman Polanski and William Friedkin enjoyed massive Box Office success with the likes of ROSEMARY’S BABY and THE EXORCIST. ​​There’s no doubt that the creative team behind the expansion of THE CONJURING universe, Producers James Wan, Peter Safran and Writer Gary Dauberman, have created a mythology in the Horror genre that is now challenging the micro-budget, variable quality of the Blumhouse Horror output that has dominated the first part of this decade. Wan & Co have opted to invest a little more in their creations and the results are bearing fruit. It’s actually a pleasure to walk into a Wan-produced Horror film and know that the scares will be present but they’ll be done with an appreciation of the genre, its history and unique storytelling opportunities that can’t be done in any other genre (perhaps with the exception of Science Fiction). 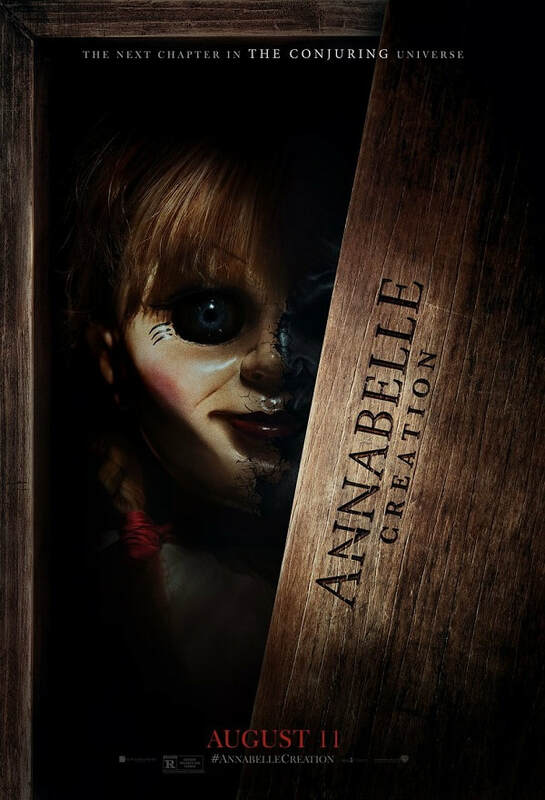 ANNABELLE: CREATION continues this Neo-Classic Horror resurgence initiated by Wan, providing a definitive explanation as to why this creepy little doll plays such a significant role in the franchise!